On the heels of the recent release of a music video for breakout single “Scooby’s in the Back,” from groovy, retro EP The Velvet Face, local indie/ambient/psych rocker HalfNoise has announced a Nov. 16 hometown headlining show at The End. 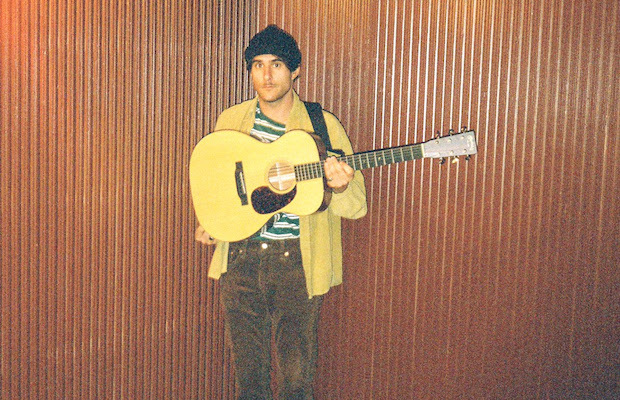 The solo vehicle of Paramore drummer Zac Farro, HalfNoise has long been a site favorite, honing and experimenting with his sound over two full-lengths and two LPs during his six year departure from Paramore. Since rejoining the group earlier this year, initially just as a contributor to triumphant fifth LP After Laughter, which quickly turned permanent, Farro’s schedule has been understandably jam-packed, and HalfNoise appearances more rare, so we’re thrilled to see him find the time for a show, sandwiched between world tours. Unlike Paramore, who sprung from a pop punk and emo base and have since gravitated towards indie pop and anthemic, synth-laden rock, HalfNoise initially took cues from ambient, Sigur Rós esque post-rock, and later incorporated more hooks and electronics, before taking a deconstructionist turn with the raw, retro Velvet Face. We’ve learned that yet another new release is on the way as well, so we wouldn’t be entirely surprised to hear something fresh from Farro between now and the show, if not soon after. Tickets are available now, and given how much of a blast The Velvet Face release show was earlier this year at Lucky Bamboo, we don’t expect them to last. Bear in mind though: while it was super cool and special to see Farro’s Paramore bandmates back him at the last performance (which turned “Scooby” into a fan-favorite encore at Paramore shows this year), you should show up expecting nothing more than HalfNoise show, and that alone is always a blast. Fitz and the Tantrums w/ Capital Cities and Beat Club | Thursday @ Marathon Music Works!